If you’ve already bought the season pass for Far Cry 5 then you now have access to Far Cry 3 Classic Edition – a re-release of the first modern Far Cry game, which puts you against the memorable villain Vaas Montenegro. Everyone who owns the Far Cry 5 season pass should have the Far Cry 3 Classic Edition in their Uplay account now, so you can log in and download it right away. The Classic Edition will be available as a standalone purchase for everyone else starting June 26. That’s right, you have early access to a five-year-old game. That’s a bigger deal for PlayStation 4 and Xbox One owners, who will now be able to play the last-gen game on their newer hardware and with improved graphics. On the PC side of things, this is good news if you never had the chance to play Far Cry 3. Far Cry 3 has a spot on our list of the best FPS games on PC. The Rook Islands are home to pirates, dangerous wildlife, and a wild cast of characters, and Far Cry 3 was the inflection point that put the series on the path it’s on today. 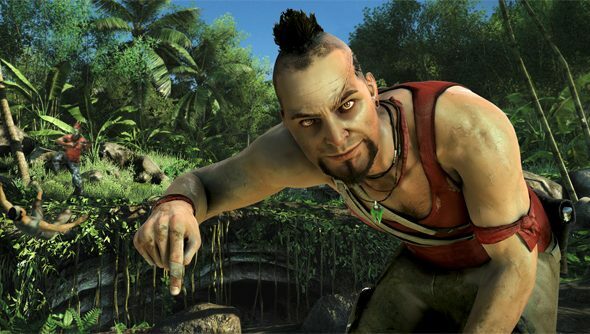 Vaas is one of the most exciting and compelling videogame villains, and while the game’s story has proven controversial over the years, it’s an exciting ride that still holds up pretty well. But the Classic Edition doesn’t seem to be offering any new reasons to return to Far Cry 3’s world if you’ve already played through the game. Ubisoft hasn’t provided any information on graphical upgrades or new options, so it’s pretty safe to assume it’s essentially the same game. If that’s the case, not to worry – the first DLC for Far Cry 5, the Vietnam-themed “Hours of Darkness,” comes out next week. Season pass holders don’t have long to wait for new outposts to conquer.